This post is a part of my design team status with DecoArt for which I am compensated. All projects and opinions are my own however. I choose to use a bit of all four of the colors shown on various pumpkins I had in my stash. 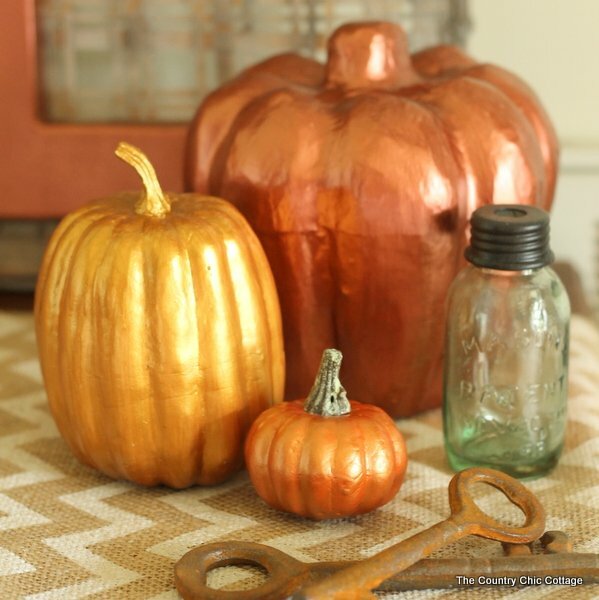 Just grab any pumpkins that need a face lift and paint them with two to three coats of Dazzling Metallics. The results will be stunning. The paint actually looks like metal when dry which to me is completely amazing. 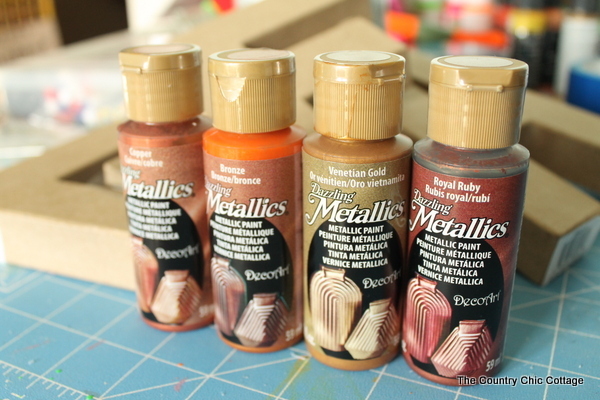 You can choose any colors you like from the entire Dazzling Metallics line. 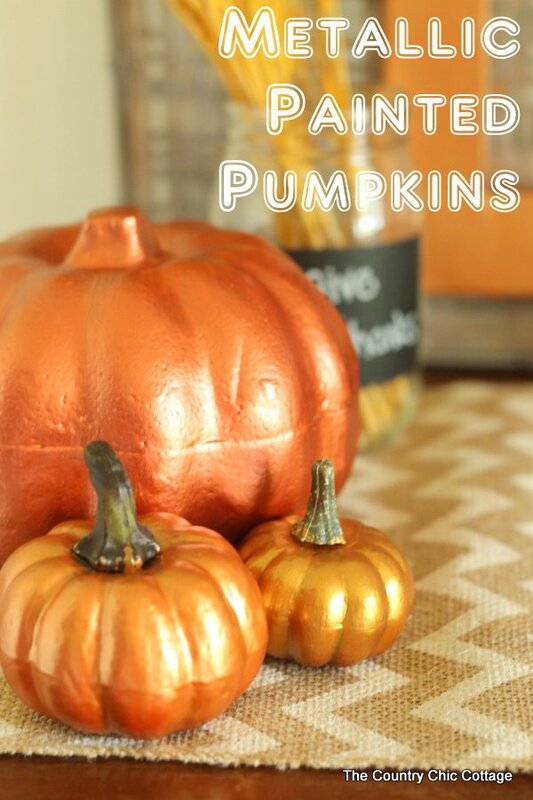 Then paint any pumpkins you have around your home or pick some up at the dollar store. 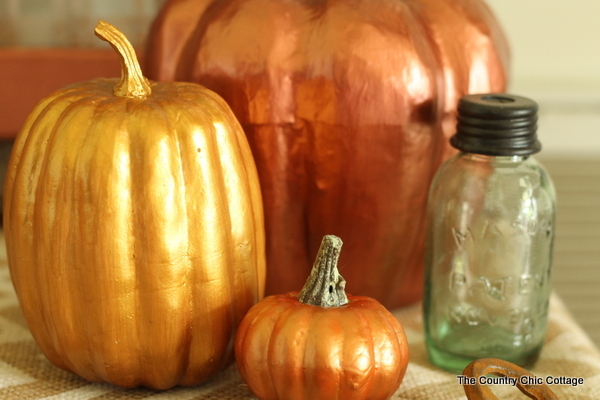 You will have a gorgeous display of metallic painted pumpkins in just minutes.